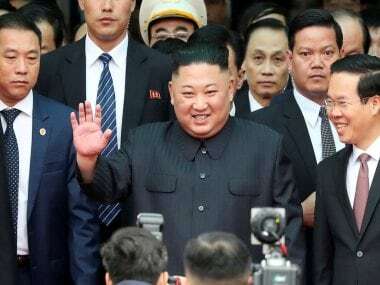 Washington: US President Donald Trump claimed credit Friday for the historic meeting between the leaders of North Korea and South Korea and declared that peace on the divided peninsula could be achieved and its people could live in harmony. Trump spoke hours after Kim Jong Un became the first North Korean leader to visit south of the demarcation line between the two Koreas, meeting with President Moon Jae-in. 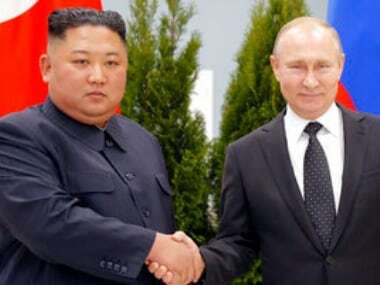 They pledged in a joint statement to seek a formal end to the Korean War by year's end and to rid their peninsula of nuclear weapons, without specifying how it would be achieved. "When I began, people were saying that was an impossibility," Trump said during an appearance with U.S. athletes who participated in this year's Winter Olympics in South Korea. "They said there were two alternatives: Let them have what they have, or go to war. And now we have a much better alternative than anybody thought even possible." 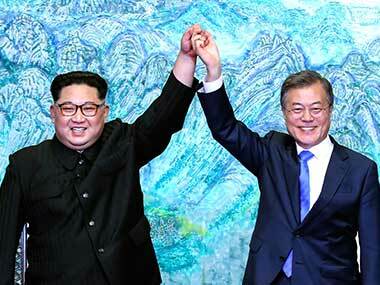 The Kim-Moon meeting was the culmination of a rapprochement that was inspired by the February games. Responsibility for turning a bold vision for peace into reality will in large part rest with Trump, who has often vowed to succeed where his predecessors as president have failed in eliminating the North Korean nuclear threat to America. 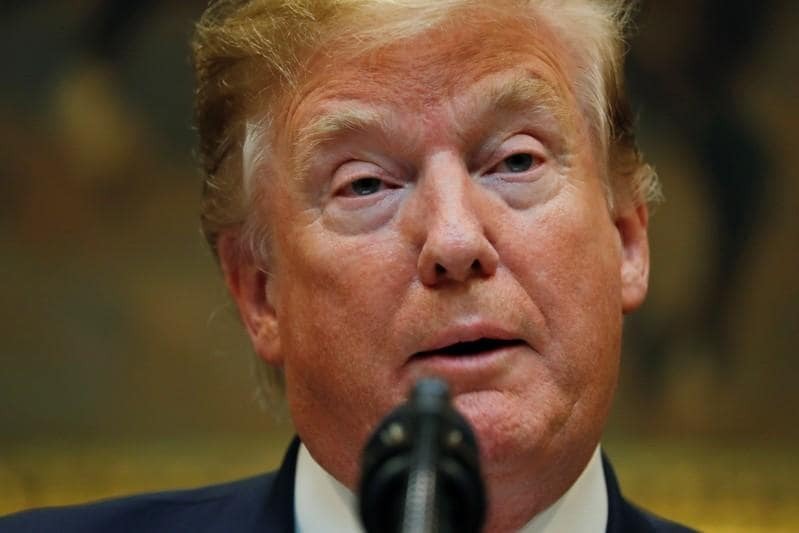 Trump on Friday gave an unequivocal statement that he would sit down with Kim — a meeting that has been tentatively scheduled for May or early June — in what would be a first during six decades of hostility. "I'll be meeting with Kim Jong Un in the coming weeks as we seek to denuclearize the North Korean area and the entire Korean Peninsula," Trump said. "Hopefully the day will come when Olympic athletes can compete on a Korean peninsula that is free of nuclear weapons and where all Koreans can live together and can share their dreams. It would be a wonderful thing to do." Earlier, and with characteristic swagger, Trump had touted the outcome of Friday's summit between Kim and Moon as a breakthrough in the generational standoff. "KOREAN WAR TO END!" he tweeted. "The United States, and all of its GREAT people, should be very proud of what is now taking place in Korea!" 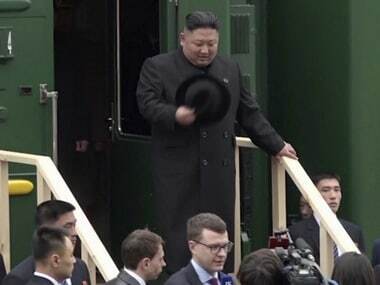 After a febrile year, when the U.S. and North Korean leaders traded threats while Kim pushed his nation to the verge of being able to fire a nuclear-tipped missile at the U.S. mainland, tensions have eased with Kim's sudden shift to international diplomacy. Last month, Trump surprised the world by accepting an offer to negotiate with Kim, who has announced a halt to nuclear and long-range missile tests. Trump also offered credit Friday to China, North Korea's traditional ally and main trading partner, who has supported tough international sanctions against North Korea to pressure it to give up its nukes. "Please do not forget the great help that my good friend, President Xi of China, has given to the United States, particularly at the Border of North Korea. Without him it would have been a much longer, tougher, process!" Trump tweeted. Despite the optimistic rhetoric, major uncertainty still surrounds North Korea's commitment to "denuclearize" and what it would demand in return. The North has spent decades building up an atomic arsenal as a deterrent against a U.S. invasion and as a safeguard for the continuance of its totalitarian regime.